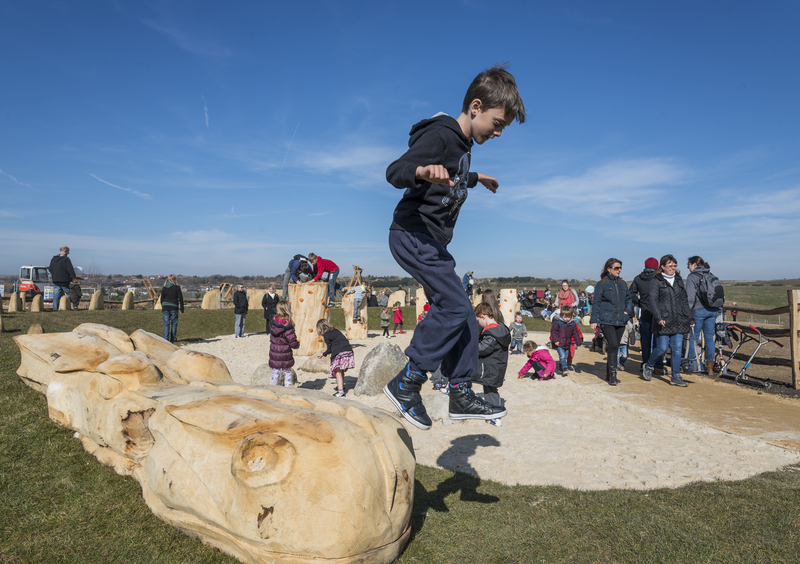 Thank you to everyone who came along to the Big Park Grand Opening on Saturday. 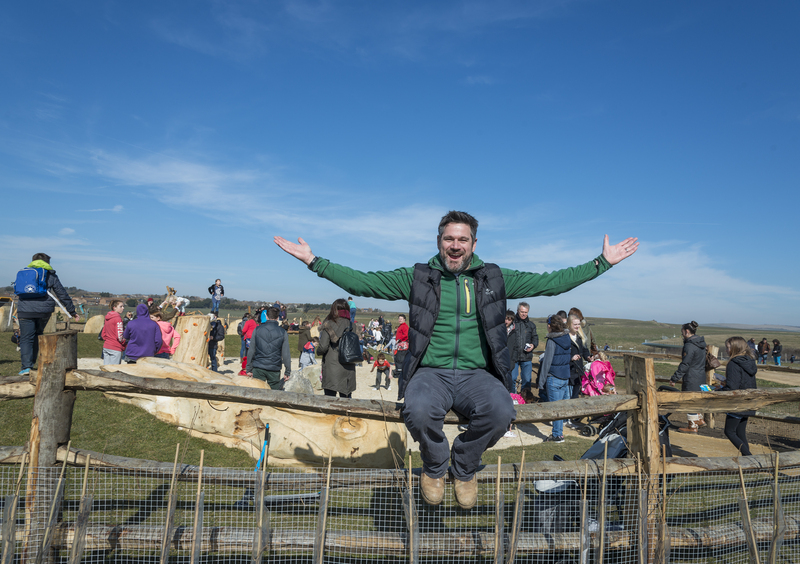 Over 5 thousand visitors came along to enjoy the new park and the sun shone all day long. The playground was a great hit with the children who simply didn’t want to leave! Well done Toby from allen scott landscape architects and Playsafe Playgrounds who battled the wet winter to deliver the playground, it was truly magical to see so many happy faces! The stunning totem gateways by local artist Keith Pettit also received a fantastic response and looked incredible as the sun set over the Big Park. 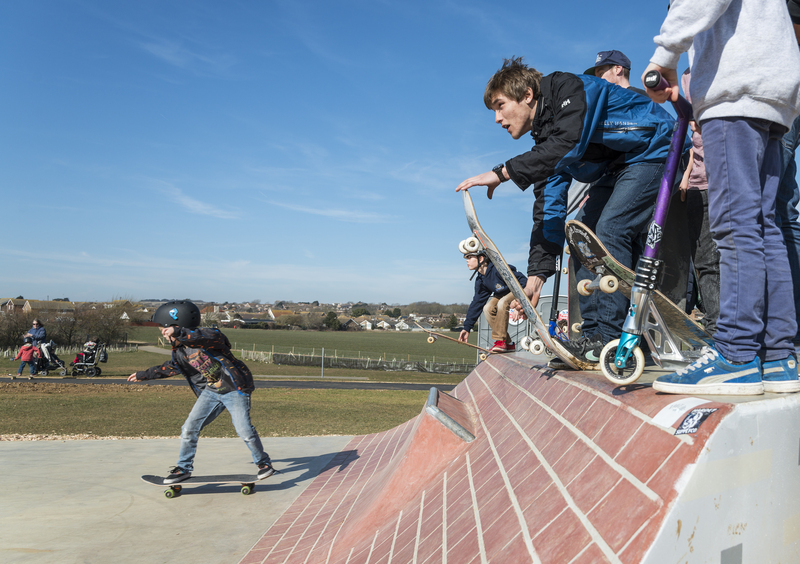 The skate Jam was also buzzing from the moment it opened with young children to grown men enjoying the fun. Well done Grant Winter and the user group from Zero Degrees for making the skate park a dream come true for the local community. The eagerly awaited cafe designed by Architects Kaner Olette, also opened it doors and staff worked tirelessly to provide food and hot drinks for the crowds. With such beautiful spring weather, visitors were able to take advantage of the outside seating and view of the surrounding downs. The day also marked the launch of Healthy Peacehaven, a local initiative to improve the health and wellbeing of local residents. The community chef produced some delicious samples of healthy fayre, apples were pressed, and practitioners and health charities gave advice on local services. A big thank you must also go to Wave Leisure who performed a dynamic display of Zumba and really got the crowd moving! So the park is officially open! The adventure playground will be complete in a few weeks, the community orchard will develop and there will be opportunities for you to get involved in more planting over the coming months. If funding is forthcoming their will also be a chance to become involved with a hands on archaeology project on the site – click here for further details. 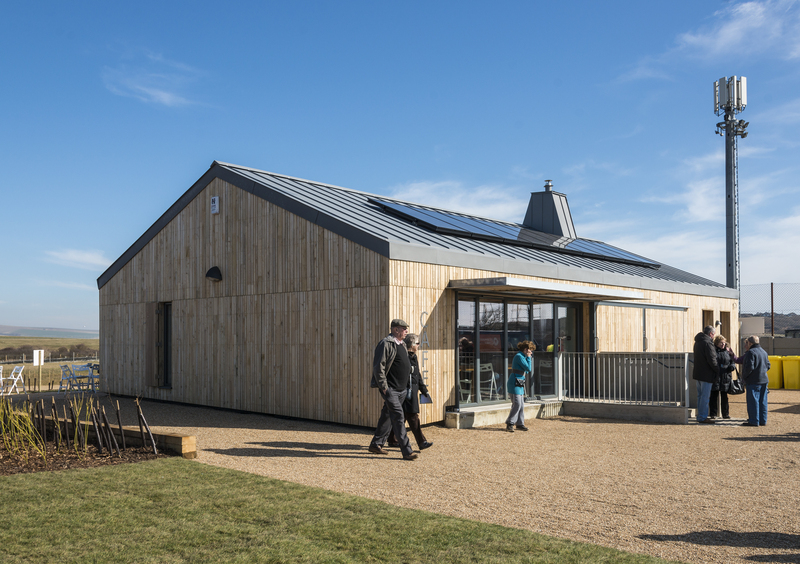 We hope that you continue to play, meet and use the park as a gateway to the South Downs National Park. It is your Big Park and it is open for you to enjoy!